We’re in the process of putting together our usual, extensive collection of news items from the Autosport Show at the NEC – but there was nothing really significant announced on the first day, in our field of sportscar and GT racing. There was plenty to see of course, but nothing dramatically new to catch the eye... apart from whatever this is (left). 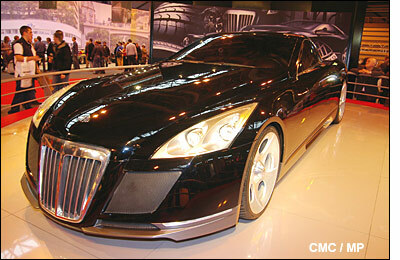 Ah, Jeff Easterling passes on the information that it is a "Maybach Excelero, commisioned by tyre manufacturer Fulda, to promote a new type of tyre". On the up side, the smaller manufacturers were reasonably well represented, Radical, Chiron, Norma and Ligier all hosting their own stands, with the Speads RS05 there too, together with Matt Manderson’s MCR. No sign of any larger prototypes though. But GT teams were present in numbers – Tech 9’s GT2 Porsche-RSR, Team LNT’s Panoz, Ferrari 360 GT3 cars from both UCB Racing and Damax, the Wood-Scott V8 Star Jaguar (Thursday and Friday only), Barwell Motorsports’ Aston DBRS9 (together with a ‘factory’ DB9 on the central stage) and a stand from Dodge Motorsports Europe, featuring a pair of GT3 spec. Competition Coupes (one without bodywork). There were several Porsche 997s on display too, including one of the gaggle that IN2 Racing will field in the Carrera Cup this coming season. 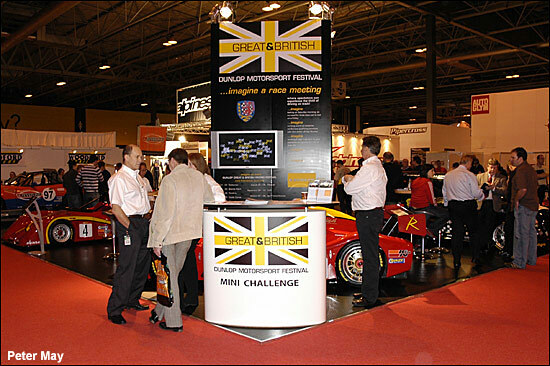 Both British GT Ferrari 360 GTCs from Scuderia Ecosse are on live action arena (pit stop challenge) duty throughout the show, with all four of the 2005 driver line-up involved. A GruppeM Porsche and Spyker C8 were also on display (both Thursday and Friday only again) together with an evocative collection of Group C cars (Jaguar, Porsche, Spice and Ecosse on the Group C / GTP Racing stand) and of course the Lola T70 Mk. 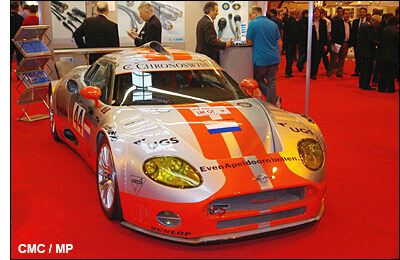 3B continuation model (on the Motorsport Industry Association stand). So if you’re going to the event this weekend, there are plenty of cars to look out for, plus plenty of products, books, models etc. 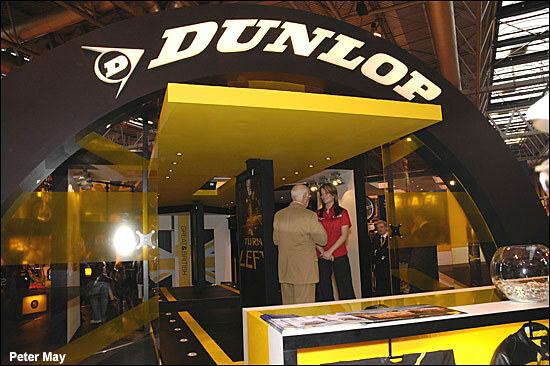 to see, plus a considerable presence from Dunlop, with two stands – a main stand, plus one devoted to the new Dunlop Great & British Festival series. Murray Walker was addressing the crowds yesterday on the main stand, but what was he actually talking about?